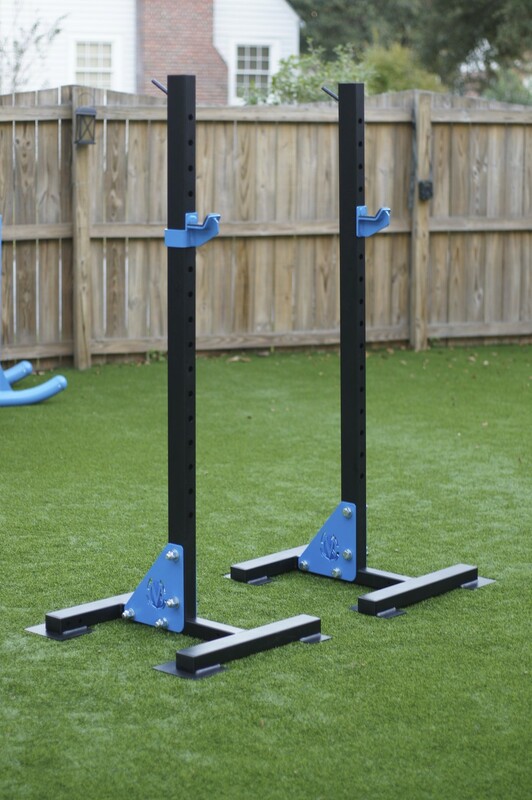 A new addition to the Movestrong strength line of products, the Indy Squat Stands. These independent standing squat stands are USA made, high quality, and great looking designed for more ease in portability. Ideal for moving in and out of a corner as needed for group workouts with clients or as part of a home gym. Each stand has an adjustable j-hook for racking and Olympics bar, backside storage peg for holding collars, base plate stabilizers for added stability. Also has pre-drilled bolt holes for the ability to add a MoveStrong GRT (Ground Rotational Trainer). Use the GRT with our new GRT handle as well for some great exercises variations in your strength training workouts.